Do you have a car that you need to sell? Maybe the costs of vehicle upkeep are vastly outpacing the vehicles current worth—it happens to every car owner eventually. 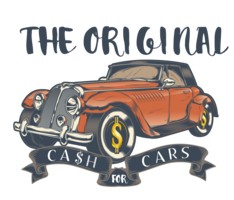 When you finally want to get cash for cars in Suffolk County, New York, look no further than the Original Cash For Cars! We know what you’re probably thinking right now. Why bother selling your vehicle to a car buyer in Suffolk County, New York, when you could easily sell it yourself locally or online without involving an organization such as ours? Perhaps you’re thinking that you could earn more if you handle it yourself. Well, here are a few good reasons to sell your car to us instead. You need to clean the car up a bit. You need to price it fairly. You need to post an advertisement online or in an appropriate place. Then, you’ll have to respond to every ridiculous, low-ball offer that comes your way—some of these people, by the way, will likely be the last people you want to interact with in such a scenario (let alone ever in your life). Sometimes, prospective buyers will want to have the vehicle looked over by a mechanic of their choosing. They may want you to undertake unnecessary repairs before they’re willing to buy the vehicle. It can be, and often is, a lengthy hassle that ends up being more trouble than it’s ultimately worth. If you’re not yet convinced, you surely will be soon enough! When you want cash for cars in the Suffolk County area, we’ll be waiting with cold, hard cash in hand. We also take junk cars for cash in Suffolk County, NY. If you currently have a car that isn’t even in working order, we can take that off your hands—it’s no problem at all! We also pride ourselves on the fact that we pay more than local scrap yards and other car buyers in the area. Contact us today if you’d like to trade your junk car for cash in Suffolk County, New York.